My original intention for this box, having acquired it from a relative, was to use it to replace my Netgear DG834 router, which I use for my (wired) Internet connection with Demon Internet. However, having reset the box I found that it wouldn't connect given the correct authentication details, so some Google research was required. I discovered that the original Home Hubs were configured only to work with BT Broadband, so all seemed lost for this box in terms of it being a replacement. 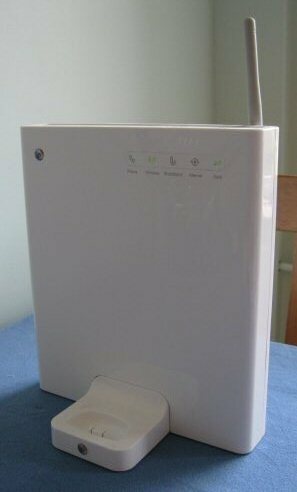 However, I did find that it seemed possible to use it simply as a wireless access point. To do this, there are two network configuration settings which need to be changed. 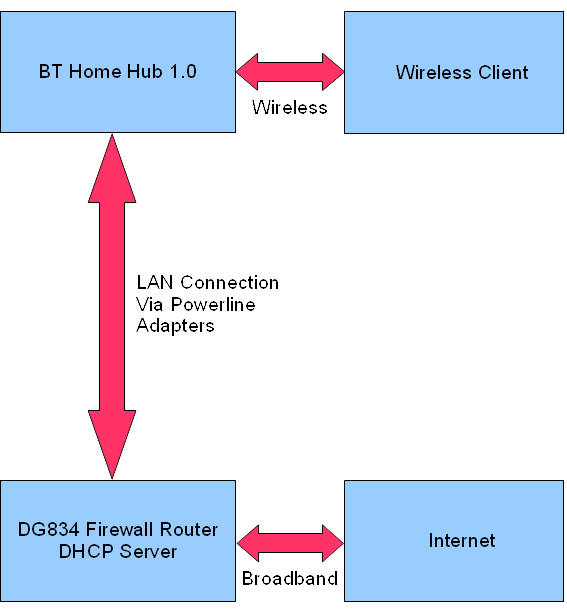 The Hub assumes that as it will be the central network device, it should be responsible for handing out IP addresses to clients on the network via DHCP, on an IP subnet which can be configured on the box. 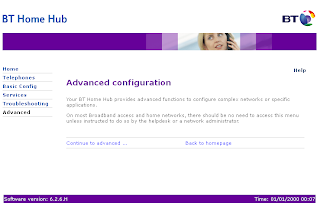 Firstly, DHCP needs to be disabled, as this will still be handled by the DG834. 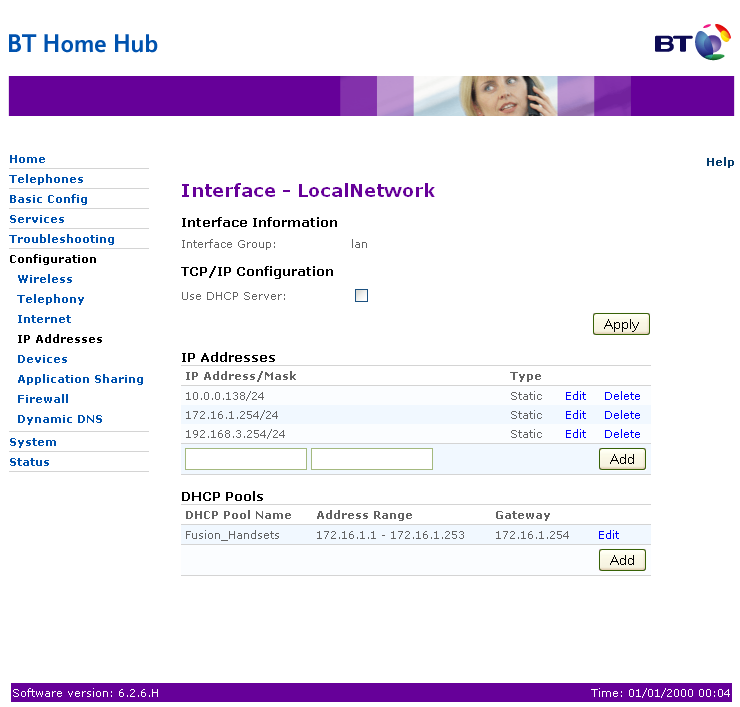 Secondly, the Hub needs to be on the same IP subnet as the DG834. In this case, it was different, so a change was required. By default, the IP address used by the Hub will be, for example, 192.168.1.254 and it's also worth checking that this won't clash with anything else on your network. My DG834 is configured to use the 192.168.3.x address range (for historical reasons), so I needed to make this change to the Hub, in other cases, this might not be necessary. To make these changes, access the Home Hub via the browser interface by connecting directly to it using a LAN cable (a laptop will come in handy for this). Ensure that "Use DHCP Server" is unticked. 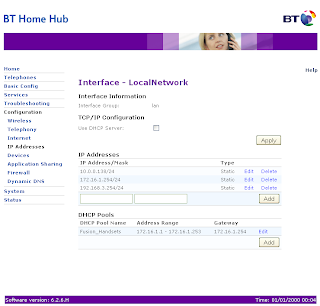 If the IP address range doesn't match what you're currently using, add a new entry which does. In my case, I then deleted the currently active one, however as soon as you do this, you'll lose access via the laptop until you restart both the Hub and the laptop. Once reconfigured, you can connect the Hub to your existing broadband router using an Ethernet connection. I did this using Powerline Adapters, which allowed me to locate the access point at the back of the house, to give a stronger signal in the garden. Now, when devices connect to the wireless access point, their IP addresses are assigned by the DG834, and everything "just works".